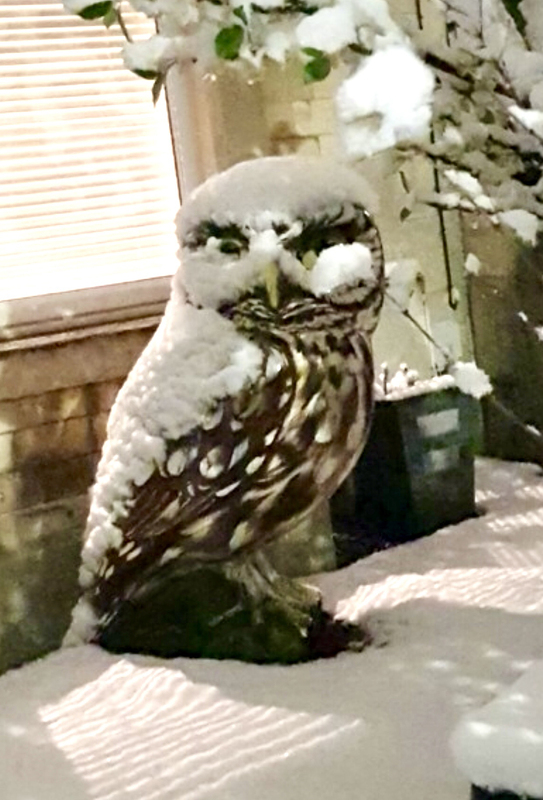 Thanks to Emily Joachim from the UK Little Owl Project for sending this photo of the fabulous ‘Athene noctua’, painted by London street artist ATM, which now nests on pubic view in a garden in Oldfield Park in Bath. 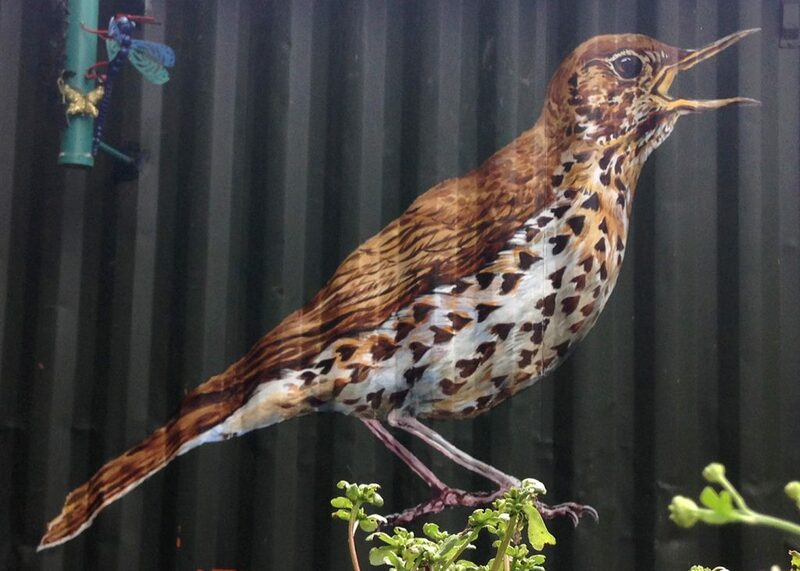 ATM specialises in painting birds threatened with extinction. 1439 bird species are now in serious decline across the world, including 67 species in Britain, one of which is the Little Owl, whose numbers have declined by over 60% in recent years. ATM has had a lifelong love for nature and particularly birds, their songs, calls and habitats. 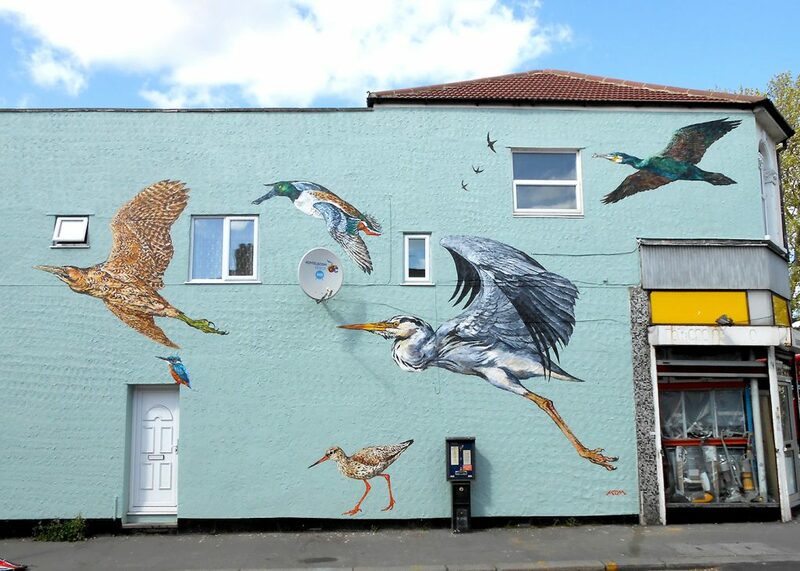 He uses his skills as an artist to celebrate the beauty of birds and communicate the extinction crisis. 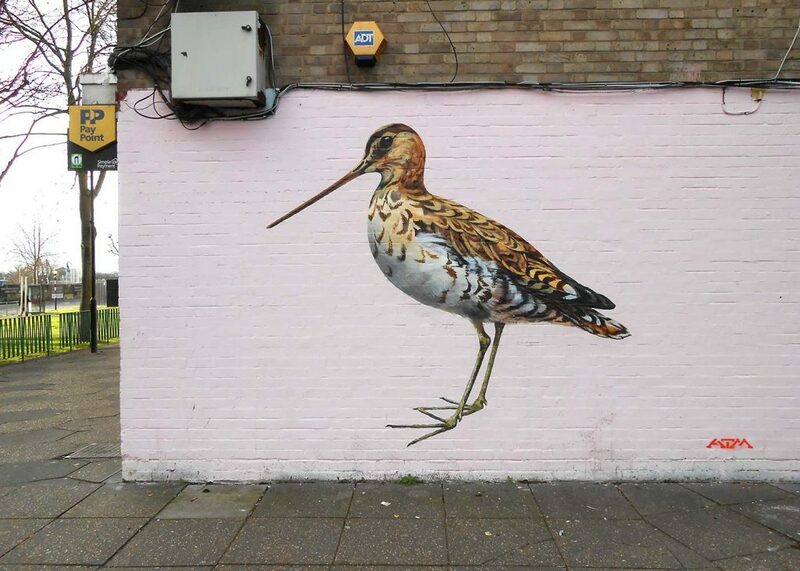 His giant wildlife murals fill walls across the UK, from London to Bristol and on to Poland and Norway. 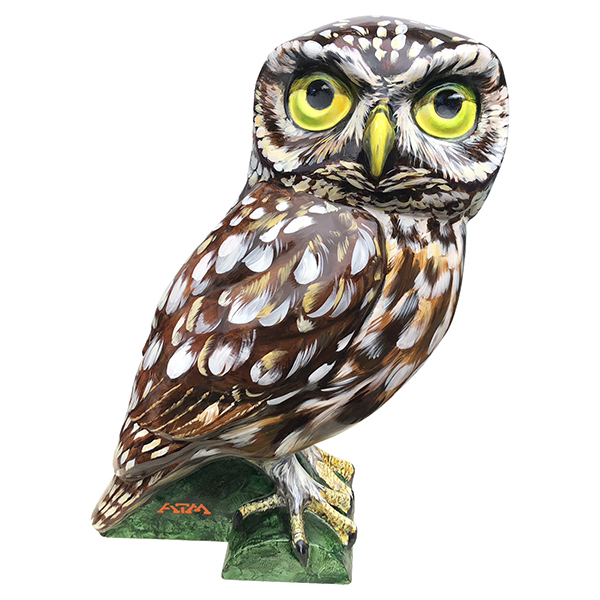 His fabulous owl, Athene noctua, the scientific name for Little Owls, was displayed outside the Assembly Rooms in Bath last summer and was so realistic that no seagulls would come anywhere near him when he was out on duty. As soon as he was wheeled indoors at night, the seagulls would return!  We need a whole ‘parliament’ of Little Owls around the city!